As a busy mom of four young and active children, I have to make sure that my diet is filled with foods that will combat the feeling of fatigue throughout the year, especially during the holy month of Ramadan! Below is a list of meals I prepare during Ramadan; these meals are easy to make, and incorporate foods that keep me fuller longer, AND give me the energy I need to keep up with my kids. All of the foods within these meals are either high in fiber or protein, thus keeping you fuller longer and more energized! Soups– I love soups simply for the fact that you can make a large pot ahead of time and refrigerate it! They are great for Iftar because of the large water content that helps with your thirst. 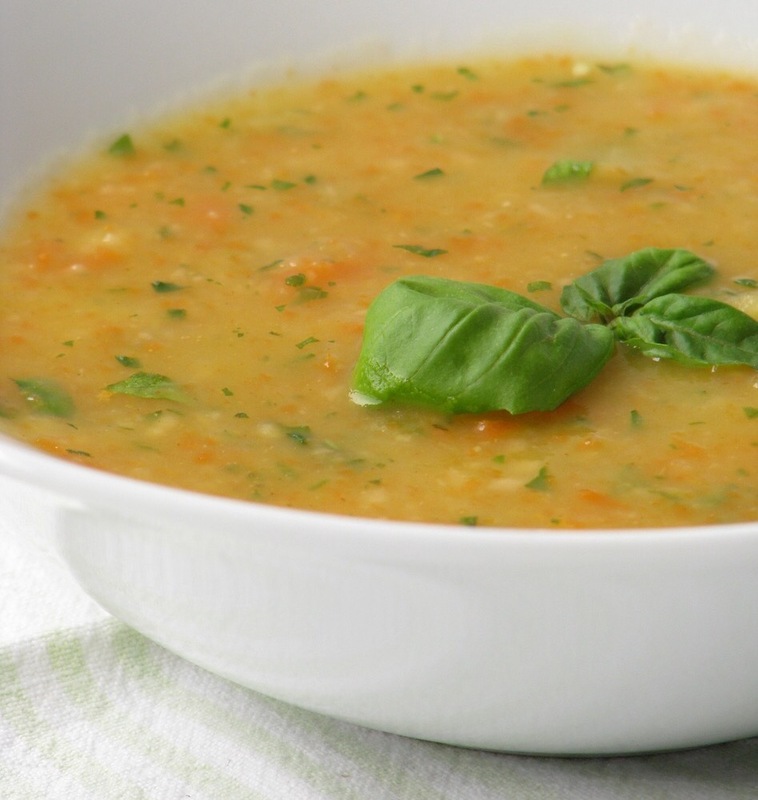 Soups are also a great option for Suhoor if you use fiber rich ingredients such as lentils, beans, quinoa, chicken, or brown rice – all of which aid in keeping you feeling fuller longer. Eggs and Whole Wheat Toast– Consider making this classic breakfast for those days you wake up late for Suhoor, and don’t have much time to make a meal. The protein in the eggs combined with the fiber in the whole wheat bread make for the perfect combination to keep you full and energized for longer. To spice things up, you can add some spinach or mushrooms in the eggs with turmeric and cayenne pepper- yum! Don’t have whole wheat bread? No problem, you can use a whole wheat flatbread as an alternative. Smoothies– Smoothies are fantastic because you can add any fruit or vegetable you want, and create endless varieties for yourself and for your family. 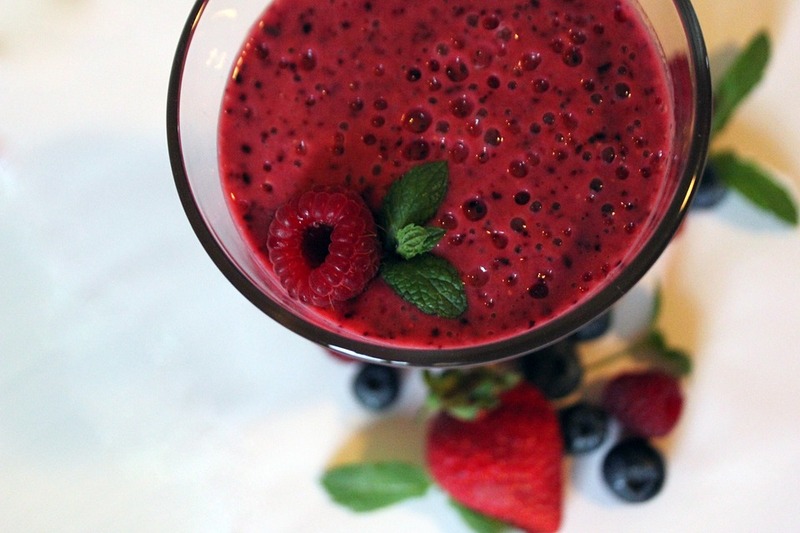 Adults love smoothies, and so do kids! Some of the foods you can add to your smoothie to help satisfy your hunger for longer are raspberries, avocados, Greek yogurt, and chia seeds. Raspberries and avocados are high in fiber, while Greek yogurt is high in protein, and chia seeds contain both fiber and protein. Tip: Chop and freeze fruits and vegetables ahead of time and simply use when needed! Salads– What makes salads a great option is the fact that they are easy to throw together, and are so versatile! For Suhoor fruit salads , try adding fiber rich fruits such as apples, pears, blackberries, and raspberries; and you can always add Greek yogurt and almonds for an added flavour and texture. 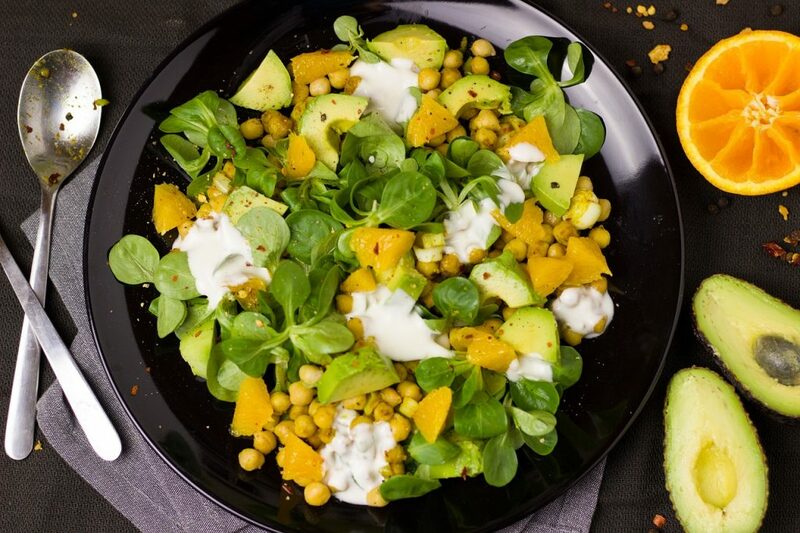 For an Iftar vegetable salad, consider using chickpeas for their protein content, with some tomatoes and cucumbers, and add a splash of fresh lemon juice with a pinch of salt and pepper. If you want to prepare a salad as a main course for Iftar, add some grilled chicken for the protein, and some avocado for a healthy fat. 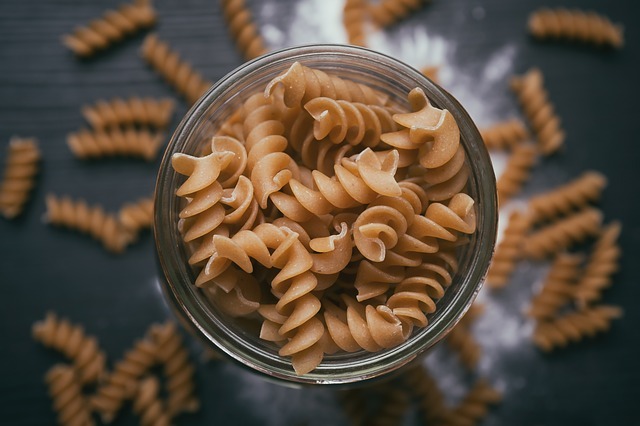 Whole Wheat Pasta – Whole wheat pasta contains the fiber that the white pasta does not, therefore it is slower to digest, and keeps your stomach satisfied for a longer duration of time. Adding chicken will give you the protein for energy, and you can add green peas or broccoli for more fiber. Due to the high content of fiber in some of these foods, drinking plenty of water is a MUST! If you can’t drink too much water (like me) try to incorporate hydrating fruits and vegetables into your Iftar meal, such as cucumbers, watermelon, and oranges. Dates– Lastly, don’t forget to open your fast with a date; not only is this an act of Sunnah, for our beloved Prophet Muhammad (Peace Be Upon Him) ate a date to open his fast, but dates are essential for their ability to balance out your blood sugar level after a long day of fasting. You can combine any of these food items together, or even use them in addition to your traditional dishes you usually make for Suhoor or Iftar. Remember, although eating these fiber rich foods will not completely eliminate your hunger, they will keep you fuller for a longer period of time compared to the fried food alternatives, and the foods that are high in sugar. Furthermore, the foods that are high in protein will give you the energy you need to pray the Taraweeh prayers during the evening, and help you in chasing after your little ones during the day! May you and your family have a blessed Ramadan, and may Allah Azza Wa Jal give all the parents and guardians Sabr, Ameen! Wa Iyyaki sis ❤️ I made the list for myself, but thought we all could benefit from it! Jazaki Allahu Sister <3 I hope your Ramadan is going well Insha'Allah! Thank you so much for reading sis, glad to hear it was useful! Chickpea salad is one of my favorites! You are most welcome Iman! I pray that Allah makes it easy for you <3 Stay blessed and have a wonderful Ramadan inshallah!